Jefferson Younken (1843-1935) was born on Oct. 5, 1843 in Somerset County, the son of Charles L. and Nancy (Henry) Younken. He was a wounded veteran of the Civil War. He stood five feet, 10 inches tall and weighed 165 lbs., with a dark complexion, grey eyes and black hair. As an old man, during an interview, Jefferson said that there was no public or church record of his birth, and that the only record he had was in his own family Bible which was copied from his mother's old Bible some 40 years earlier, in about 1873. He also noted that his mother's Bible was lost and he was unable to find any trace of it. 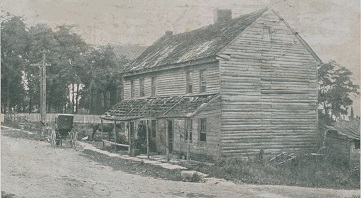 Jefferson as a boy moved with his parents and siblings to Richill Township, Greene County. He remained in their home until the age of 19, when he left to join the Union Army during the Civil War. He enlisted on July 22, 1862, as a member of the 140th Pennsylvania Volunteer Infantry. With the 140th Pennsylvania, Jefferson and his fellow soldiers were bloodied in some of the fiercest action known during the war -- including the Battles of Chancellorsville and Gettysburg at the Wheat Field and on Little Round Top. At Gettysburg on July 2, 1863, he and his regiment prepared for battle. He crossed paths with a former neighbor, James M. Dille, of the 16th Pennsylvania Cavalry, and afterward Dille wrote: "I seen him at Gettasburg Penna in the morning on duty, Said to be the same day he was wounded." While in action at Little Round Top that day, the second of the monumental three-day struggle, he received a gunshot in the left leg. The bullet first struck him about three inches above the knee; passed through the leg and lodged in his right leg, striking the femur, remaining there permanently. 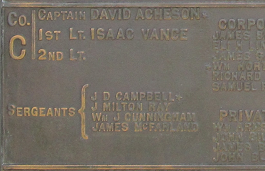 He was discharged at Baltimore on March 25, 1865, and then at Annapolis, MD on July 22, 1865, after serving a term of three years. After the war, he returned home. On May 18, 1867, at the age of 24, he wed 23-year-old Matilda Ann Rickey (1844-1901), daughter of Benjamin Franklin and Mary Elizabeth (Godwin) Rickey. Rev. Samuel Kendall officiated at the ceremony at Graysville, Greene County, PA. 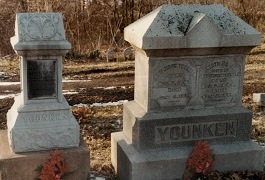 The Younkens had nine children -- Clara Belle Scott, Thomas "Jefferson" Younken, Franklin Collingwood Younken, Nancy "Mae" Wiley, Sarah Blanche Katherine Jones, Lydia Ann Younken, James R. Younken and two sons who died as infants. They resided in and around Wind Ridge for the remainder of their lives. The effect of his wartime wounds continued to plague Jefferson, and he petitioned the federal government for a pension, stating the wounds in both legs were "at least equal to the loss of a limb." Longtime neighbor James M. Dille -- who had seen him at Gettysburg -- testified that "there is a bullet in right leg or feels like a bullet. I have worked with him of and on for the last three years... he often complains of his Legs hurting him. he often give out in Plowing and send for me to work in his Place." Friend John W. Knox also provided information to support the claim, and said "I felt his leg and find or believe the Bullet is still there, this is in the Right leg." Another observer said the scar was "the size of a hens egg." The application was approved, and circa 1878, he received $8 in monthly payments from the U.S. Bureau of Pensions. To keep the pension, Jefferson had to undergo periodic medical checkups with government surgeons. They all filed detailed reports which today are in the National Archives, all noting the well marked scars remaining on both of his legs. As she aged, Jefferson's widowed mother came to live in his home. She died just a month before her 78th birthday, on Dec. 13, 1889. They were members of the South Ten Mile Baptist Church. The United States conducted a special census of Civil War veterans in 1890, and Jefferson, living at Harveys, disclosed that he was suffering from "lumbago and muscular rheumatism." Matilda died at the age of 55 on July 3, 1901, at home near Graysville. She was laid to rest in the Ten Mile Baptist Church cemetery; later her remains were moved to join Jefferson's at Rosemont Cemetery at Rogersville, Greene County. Jefferson lived for another 34 years after his wife's death. He endured further heartache in February 1910 when daughter Lydia died "of pneumonia superinduced by the measles," reported the Waynesburg Democrat. 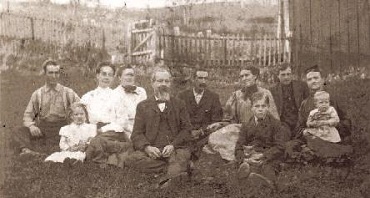 In 1912, a meeting was held at his home to organize the Civil War Veterans of Richhill Township. To celebrate his 70th birthday, his friends in the association gathered at his home in October 1913. Said the Washington (PA) Observer, "The dinner was the feature of the day, of which 67 partook, after which the house was called to order by the president and the minutes of the last meeting read and approved. A short program was carried out which consisted of music both vocal and instrumental, Miss Edith Wiley presiding at the organ. Several of the veterans gave short talks on reminiscences of army life, among whom were P.A. Cooper, M.C. Burroughs, Dr. J.M. Murray, Henry Scott, John Meighen and Dr. L.F. Milliken...."
Also in 1912, Jefferson was mentioned by name in Robert Laird Stewart's book, History of the One Hundred and Fortieth Pennsylvania Volunteers. That year, as a justice of the peace, he was a witness to a Civil War pension declaration document prepared for and signed by a cousin, John Hartzell, son of Jonas Hartzell and grandson of Mary (Younkin) Hartzell. Circa 1913, he resigned his office as local street commissioner due to declining health. He underwent surgery for removal of his prostate gland in the early 1920s, and circa September 1925 made his home in Fairchance, Fayette County, PA.
After suffering a stroke in March 1933, he died at the home of married daughter Mae Wiley in Washington, Washington County, PA, on the Fourth of July 1935, some 70 years to the day after the Battle of Gettysburg ended. He was interred in Rosemont Cemetery. Jefferson's old Bible was in the possession of grandson J. Boyd Wiley at one time, while the old Rickey Bible was held by Anna Jones Staggers of Wind Ridge, Greene County. Daughter Clara Belle Younken (1868-1926) was born on Feb. 15, 1868 near Graysville. On Sept. 4, 1889, at the age of 21, she married 26-year-old George McClellan Scott (1863- ? ), son of C.W. and Rachel (Webster) Scott. Born during the Civil War, George presumably was named after the popular Union General George M.B. McClellan. They produced at least three sons, all physicians -- Dr. Roy L. Scott, Dr. Stanley Lawrence Scott and Dr. J. Warren Scott. Their home circa 1910 and the 1920s was in Fairchance, Fayette County, PA. George was employed circa 1910 as a postal clerk for a railway train. Stricken with stomach cancer at the age of 58, Clara was admitted to Pittsburgh's Mercy Hospital, where she underwent surgery. The operation did not cure, and a strep and blood infections resulted. She died on April 1, 1926, and is buried in Rosemont Cemetery or in Fairchance. Her son Stanley signed the Pennsylvania death certificate. 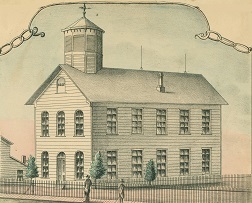 After retiring, George moved in with or near his son Stanley in the Mapleview Plan of Speers near Charleroi. With George somewhat senile at the age of 84, his lungs began to hemorrhage, and he died within a few days on May 6, 1947. Interment was in Rosemont Cemetery. Son Dr. Roy L. Scott (1891- ? ) was born in about 1891 and grew up in Fairchance, Fayette County, PA. At the age of 19, in 1910, he lived at home and was a teacher in local public schools. He eventually obtained a medical degree and resided in 1960 in Buffalo, NY. Son Dr. Stanley Lawrence Scott (1893-1955) was born on June 21, 1893. He married Olive Holliday (1893-1951), daughter of Benjamin and Jane (Lowther) Scott of Smock, Fayette County. The couple produced an only daughter, the ill-fated Mary Scott. They resided in the Mapleview section of Charleroi, Washington County, PA in the 1930s, at the address of 407 Washington Avenue. Olive was active in the community as a worthy matron of the Order of Eastern Star, the White Shrine of Jerusalem, Charlereoi Assembly of Order of Rainbow for Girls, the Chautauqua Circle of Delphians, the Martha Washington Club and the Charleroi-Monessen Hospital Auxiliary. Heartache shook the family in April 1939 when 15-year-old daughter Mary, whose heart was not functioning properly, went to a dance. Saying she was ill, she stopped dancing, and then collapsed, dying before she could be carried from the floor. 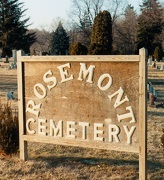 Burial was in Rosemont Cemetery in Rogersville, Greene County. Writing to a relative from Charleroi, cousin Charles Arthur "Charleroi Charley" Younkin noted that "I also attended [the funeral of] one of a Younkin descendant Mary Scott daughter of Dr. Stanley Scott. Dr. Scott is a grandson of Jefferson Younkin who died a few years ago." Circa 1935, the family made their home at 101 Grandview Way in Speers Borough, Washington County, remaining for the balance of their lives. Sadly, suffering from diabetes and hardening of the arteries, Olive was felled by a heart attack in November 1951. She was rushed to the Woman's Hospital of Pittsburgh, where she died three days later on Nov. 13, 1951. An obituary in the Monongahela Daily Republican noted that she was a "prominent district resident." Further tragedy obliterated what was left of the family on Sept. 5, 1955, when Stanley, age 62, chose to end his life by breathing carbon monoxide fumes from his automobile. Burial was in Monongahela Cemetery. Son Dr. J. Warren Scott (1906-1960) was born in about 1906 in Fairchance. He married Mary B. (or "Margaret") Bender ( ? -1958) and had three sons -- Warren W. Scott, George R. Scott and Richard Stanley Scott. Warren was a graduate of Waynesburg College and obtained his medical degree in 1930 at the University of Pittsburgh. During World War II, he served as a lieutenant commander in the U.S. Navy and reported to duty at the Norfolk (VA) Navy Yard. Among his areas of military activity were North Africa and Italy. He received a bronze star "for bravery in action against the enemy in the Mediterranean," reported the Monongahela Daily Republican. After the war, he returned home and was employed as a staff physician with Charleroi-Monessen Hospital. Warren also served as plant physician for Pittsburgh Steel Company as plant physician. He belonged to the California lodge of the Masons. Margaret was active in her own right as California Districe vice president of the Washington County Federation of Women's Clubs. Also a violinist, she performed in the community, including a concert in April 1942 for the Roscoe Cooperative Club. Sadly, while visiting her brother George Bender in New Paris, OH, Margaret was stricken with a heart attack and was discovered dead in bed in October 1958. Her remains were returned to Washington County for interment in Roscoe. Warren survived her by about two years. At the age of 54, on Dec. 5, 1960, he was performing a small piece of surgery at the hospital when he suffered a heart attack. "Dr. Scott was taken from the operating room to the doctor's lounge and died a short time later," said the Daily Republican. Grandson Warren W. Scott lived in Centerville, Washington County, PA in 1960. Grandson George R. Scott dwelled in Roscoe, PA in 1960. Grandson Richard Stanley Scott resided in 1960 at home with his widowed father. Son Thomas Jefferson Younken (1871-1954) was born on Nov. 19, 1871. He was twice married. His first wife was Alice Tilton Finch (1872-1935), daughter of William and Lucinda (Smith) Finch. 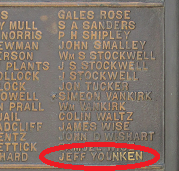 They had one known son, John Younken, born in 1906. The Younkens moved into Waynesburg in about 1922, and made a home on Bowlby Street. They were members of the Baptist Church. Sadly, Alice suffered from a variety of physical problems, including heart disease. The Waynesburg Democrat Messenger said she was "practically an invalid for seven years." She died on Nov. 11, 1935 at the age of 63. Burial was in Green Mount Cemetery, following a funeral led by Rev. Harvey W. Funk. The Democrat Messenger said that three of Alice's siblings survived her -- sister Mrs. John W. Davis of Waynesburg; M.B. Finch of Pittsburgh and E.S. Finch of San Diego, CA. T.J.'s second wife was Mrs. Olive (Boyd) Orndoff. T.J. died on Aug. 14, 1954, with burial in Waynesburg's Oakmont Cemetery. Son John Younken (1906-1968) was born on July 6, 1906 in Richhill Township. He married Hulda Craig (1909-1974), daughter of George W. and Mae (Minor) Craig. They had one son, Craig Younken. John attended the Elliott Business School in Wheeling, WV. He made his home in Brownsville, Fayette County before coming to Waynesburg. There, he went on to a long career as owner/operator of a gasoline service station at the corner of High and Richhill Streets. Active in the community, he served on the board of trustees of the First Baptist Church of Waynesburg. Hulda was employed for several years at the Waynesburg College book store and was a member of the First Baptist Church of Waynesburg. They lived at 323 South Washington Street in Waynesburg. John died in Greene County Memorial Hospital in Waynesburg on Sept. 9, 1968, at the age of 62. Circa 1971, Hulda made her home with her married son and daughter in law at 137 Huffman Street in Waynesburg. Grandson Craig Younken was married and had two children -- Michelle Younken and Michael Younken. He has been a longtime educator and in 1993 was principal at East Franklin Elementary School in the Central Greene School District. He also was a volunteer pie-toss target at the annual Waynesburg Rain Day in the 1970s. He retired at the end of the 1999 school year, following 32 years in the field. He also served as an officer with the Waynesburg Volunteer Fire Company. 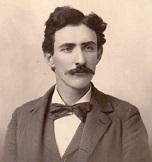 Son Franklin Collingwood Younken (-1870-) was born on Jan. 8, 1870. He only lived a short time, dying 10 days before his first birthday, on Dec. 29, 1870. he was buried in the churchyard at South Ten Mile Church, but later the grave was moved with the remains of his mother and sister Lydia to Rosemont Cemetery. Daughter Nancy "Mae" Younken (1873-1937) was born on Dec. 27, 1873, two days after Christmas. 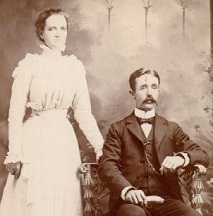 She married John Flanagan Wiley on Jan. 9, 1892. They produced five known children, Edith Baker, Verne Gaus, Faye Gaus, Kenneth Wiley and Boyd Wiley. Their residence in 1910 was Amity, Washington County, and they were members of the South Ten Mile Baptist Church near Graysville. Later, they relocated into Washington, the county seat of Washington County, and attended the Allison Avenue Baptist Church.. She was proud of her father's Civil War legacy and was a member of the Daughters of Union Veterans. She passed away on Aug. 3, 1937, at the home of her son Boyd in Washington. Burial was je;d in Rosemont Cemetery and, reported the Waynesburg Democrat Messenger, the "casket will be opened at the grave." She was survived by 19 grandchildren. Their daughter Edith Wiley wed Charles Baker and had one daughter, Marjorie Fischer. Daughter Sarah Katherine Blanche "Katie" Younken (1876-1949) was born on Nov. 2, 1876 near Graysville, Greene County. She spent her entire life in Greene and Washington Counties. Katie married Mathias "Clark" Jones (1873-1967), son of William K. and Elsie Margaret (Whiteman) Jones of Enon, Washington County, PA. Their nuptials were held on Oct. 28, 1899, when she was 22 years of age and he 25. The couple had four children, Annette Mae "Anna" Staggers, Carl Lorraine Jones, Vaughn Randall Jones and Alice "Gertrude" Burns. Circa 1910, when named in the Waynesburg Democrat obituary of her sister Lydia, Katie and family made their home in Enon. Their postal address in the 1940s was R.D. #1, Graysville. They were members of the South Ten Mile Baptist Church, and Katie was active with its Community Circle, hosting all-day meetings at their home in Graysville/Wind Ridge. They also were subscribers to the Younkin Family News Bulletin and news of her social gatherings was printed in the family publication (edition of March 14, 1940). For the final two years of her life, Katie was stricken with leukemia. She died at the home of her daughter Anna Staggers in Wind Ridge on May 18, 1949, at the age of 74. Burial was in Greene County Memorial Park in Waynesburg. An obituary in the Waynesburg Democrat Messenger noted she was survived by 13 grandchildren and four great-grandchildren. Unpaved street in Amity, PA, early 1900s. Clark outlived his wife by 18 years. He passed away in rural Waynesburg, Greene County on Feb. 16, 1967. Daughter Annette Mae "Anna" Jones (1901-1996) was born in 1901. She married LeMoyne Staggers ( ? - ? ). They resided in Wind Ridge in 1949-1985. Lemoyne was an active member of the Pennsylvania Division of the Izaak Walton League and served on a reception committee for the state convention held in Waynesburg in 1929. He also was treasurer of the Wind Ridge Hunting Club circa 1932, said to have been "one of the most active sports groups in Greene County," reported the Pittsburgh Press. When her sister Gertrude Burns and husband Wilfred would return from their winters in Florida, they often visited with the Staggers family in Wind Ridge. Toward the end of her life, Anna made her residence in Rockville, MD. She died in 1996 at the age of 95. Son Carl Lorraine Jones (1903-1989) was born on Dec. 12, 1903 in West Finley Township. He wed Clarice Mae Dillie (1901-1978), daughter of Oren and Margaret (Chambers) Dillie of Wind Ridge. They had eight children -- Walter Jones, Earl Jones, Charles Jones, Margaret "Peggy" Hoge, Carl Harms, Mary Hobson, Helen Berry and Richard C. Jones. The family lived in the Waynesburg area. For half of a century, Carl was employed by Carnegie Natural Gas Company in Greene County. Clarice was active in church projects her entire adult life. In about 1968, following retirement, the Joneses relocated to St. Cloud, FL, where their home was at 1121 Kentucky Avenue. They enjoyed a decade in Florida and were members of the First Baptist Church of St. Cloud. Sadly, Clarice died at age 77, in Kissimmee Nursing Home, on Oct. 19, 1978. Carl wed again, to Lillian Quinn. At the age of 85, Carl passed away in Humana Hospital in Kissimmee. An obituary in his hometown newspaper reported that he was survived by 19 grandchildren and 31 great-grandchildren. Granddaughter Margaret "Peggy" Jones married LaVerne Hoge. LaVerne served in the U.S. Navy during World War II. They lived in Washington. Granddaughter Carol Jones married Ted Harms. In 1978, their home was in Bethel Park, near Pittsburgh. Granddaughter Mary Jones married (?) Hobson. She resided in Waynesburg. Granddaughter Helen Jones wed (?) Berry. She dwelled in St. Cloud, FL in 1978. Grandson Richard C. Jones migrated to Shreveport, LA. Son Vaughn Randall Jones (1907-1985) was born on Jan. 16, 1907 in West Finley Township. His first wife was Rowena Isiminger ( ? -1929). They did not reproduce, and Rowena sadly died an untimely death in 1929. Vaughn survived his wife by more than half of a century. He married again, on Nov. 4, 1935, to Maude Riggle. They had two children -- Shelva Jean Winter and a daughter who died in infancy. For more than 35 years, Vaughn was employed by Carnegie Gas Company, which had significant operations in Greene County. He also was a member of the First Baptist Church of Waynesburg and was a deacon as well as Men's Bible Class member. In 1949, his home was in rural Waynesburg. Later, in about 1978, he retired and moved to Jensen Beach, FL. He passed away in Martin Memorial Hospital in Stuart, FL at age 78 on April 17, 1985. His remains were returned to Waynesburg for interment in Greene County Memorial Park. An obituary was published in the Washington Observer Reporter. Daughter Alice "Gertrude" Jones (1914-1994) was born in 1914. She was joined in matrimony with Wilfred William Burns (1912-1997), a native of Wind Ridge. They produced two known daughters -- Patricia Burns and Caroline Burns. Circa 1940, when Gertrude was age 26 and Wilfred 28, census records show that the family made their home in Richhill Township, Greene County, with Wilfred earning a living as a "laborer - road work." Later, they relocated into the city of Washington, Washington County, PA. Wilfred went on to work in sales. Gertrude was a member of the First Baptist Church in Washington. Circa 1949, their home was on East Prospect Street in Washington. Beginning in about 1953, they are known to have spent their winters in Florida, primarily in Cape Canaveral, FL. When in Pennsylvania, they enjoyed visiting at the home of Gertrude's married sister Anna Staggers in Wind Ridge, Greene County. A graduate of Richhill High School, Gertrude also attended the school's alumni reunions held at the Jacktown Fair Grounds in Wind Ridge. Wilfred was a member of the First United Methodist Church in Cocoa Beach, the Sons of the American Revolution (SAR) and the Civil War Round Table in addition to the International Order of Odd Fellows (IOOF) American Association of Retired Persons (AARP). The Burnses were pictured in the January 1991 edition of the Younkin Family News Bulletin. 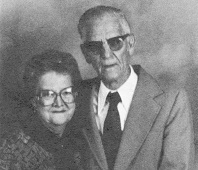 Gertrude died at the age of 80 in 1994, terminating their marriage which had lasted for 59 years.. Wilfred outlived his wife and succumbed on Aug. 1, 1997 in Cocoa Beach, Brevard County, FL. An obituary was published in Florida Today (Cocoa, FL), which noted that he was survived by 11 grandchildren, 24 great-grandchildren, eight step-great-grandchildren and one step-great-great grandchild. His remains were returned to Pennsylvania for interment. Granddaughter Patricia Burns (1936- ? ) was born in about 1936. She was wedded to (?) Sherich and made their home in 1997 in Liberty Hill, TX. Granddaughter Carolyn Burns (1938- ? ) was born in about 1938. She married (?) Carman and lived in St. Petersburg, FL. Carolyn has attended many Younkin Reunion East gatherings over the years. Grandson Roger Burns lived in Titusville, FL in 1994 and in Cocoa, FL in 1997. Daughter Lydia Ann Younken (1879-1910) was born on Sept. 6, 1879 in Greene County. She never married, and resided with her parents near Harveys. Stricken with the measles which brought on bronchial pneumonia, she died on Feb. 10, 1910, at the age of 30. Initially her remains were laid to rest in the South Ten Mile Church cemetery. An obituary in the Waynesburg Democrat notes that the funeral was held in the South Ten Mile church, led by Rev. C.W. Turner. Later, her remains were relocated with her mother and infant brother Franklin to Rosemont Cemetery. Son James R. Younken (-1883-) was born on June 12, 1883, a twin. His unnamed infant brother died at birth. James only lived for 15 days. He died on June 27, 1883. He and his twin, and another infant sister who died four years later in 1887, are buried at South Ten Mile Church, but unfortunately no stone or marker of any kind remains. This page would not be possible without gracious sharing by Carl Hoge and the late Donna (Younkin) Logan and the late Olive (Rowan) Duff.